Super cute set for my son who is into everything submarine. Lots of colors to match sheets with. I would definitely recommend this to brighten up any kids room. 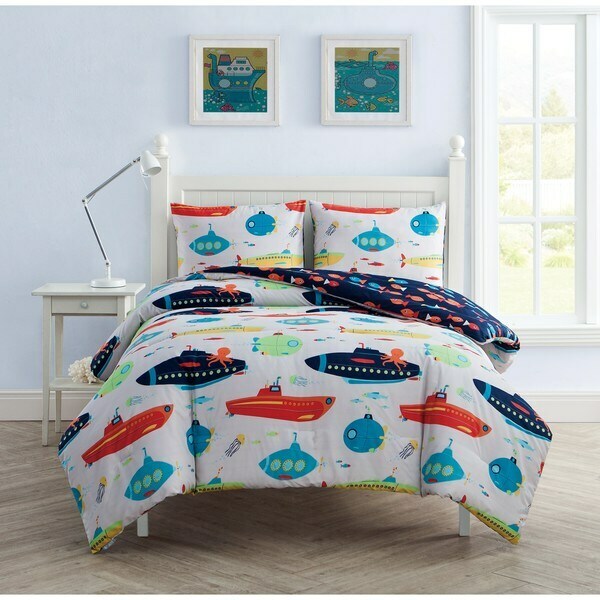 The Submarine 2 or 3 piece comforter set features a colorful submarine print on the comforter and matching pillow shams. On the reverse of the comforter and shams, there is a blue and orange fish print. my son loves the blanket. nice thick material. love that its reversible. my husband also used it as welland loves it. Cute design. looks just like the photo. washable and easy to clean.